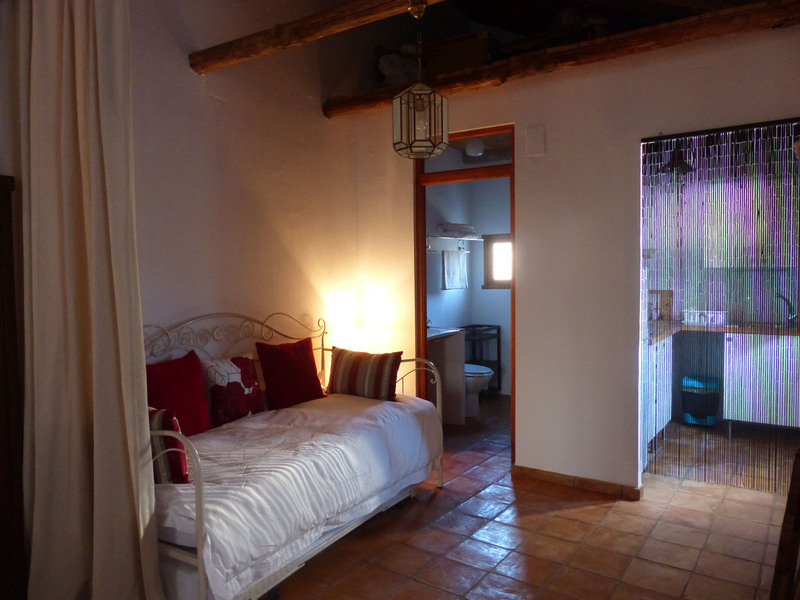 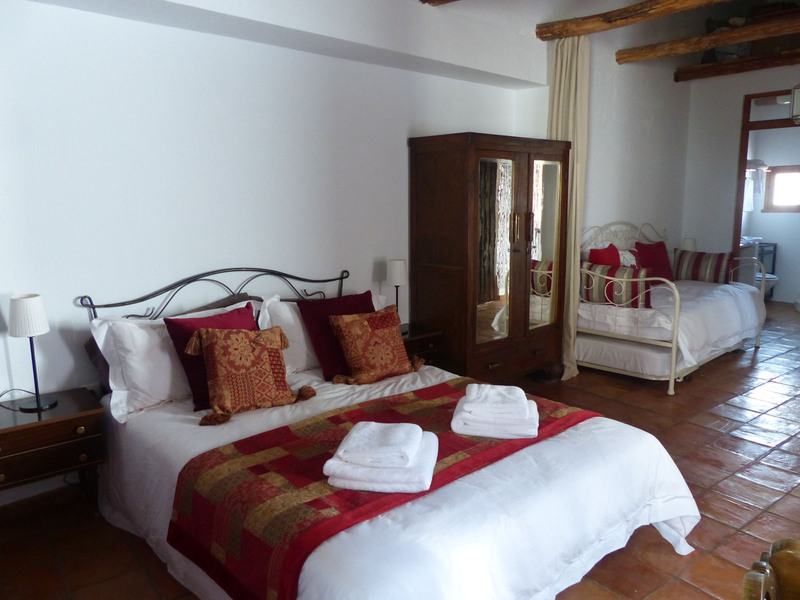 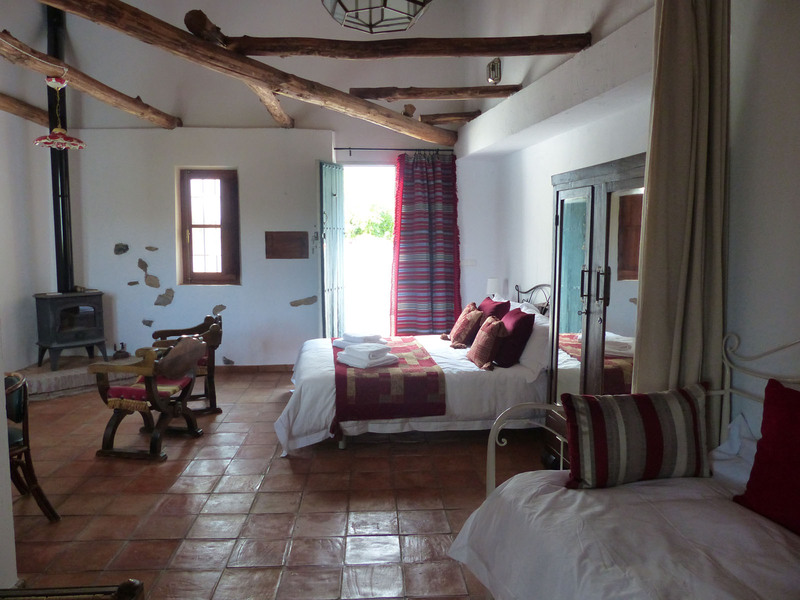 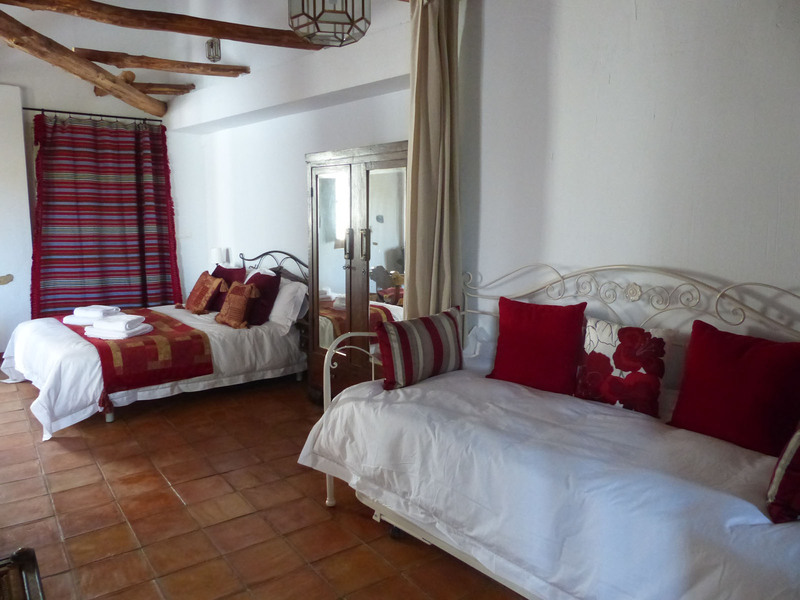 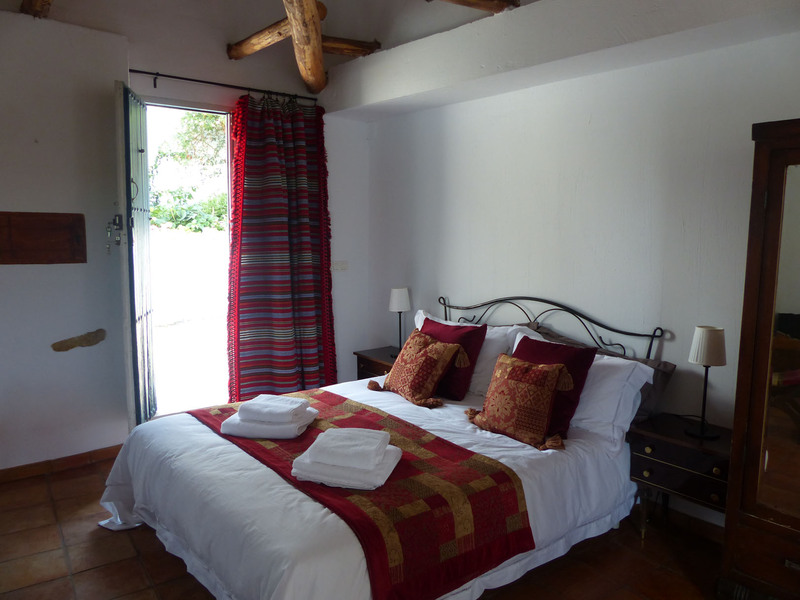 This is our largest room and has been decorated in traditional Andalucian style with exposed beams and ceramic tiling. 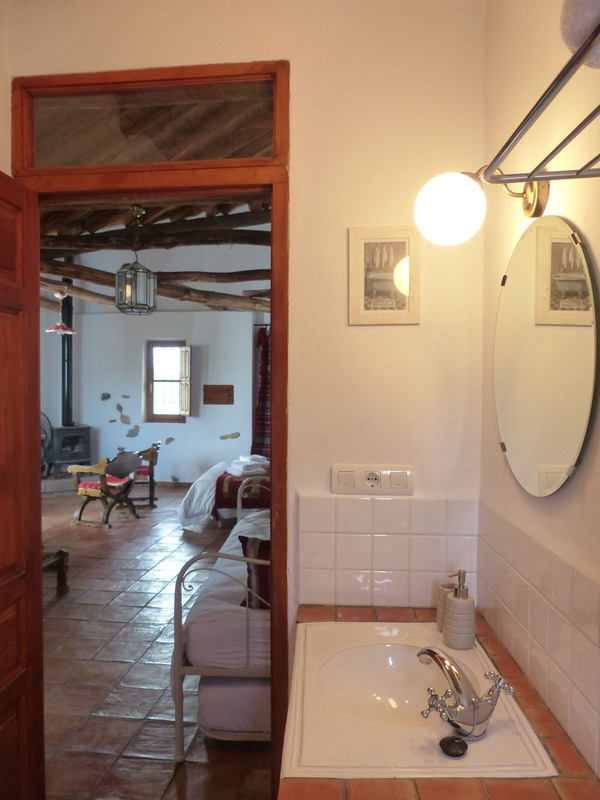 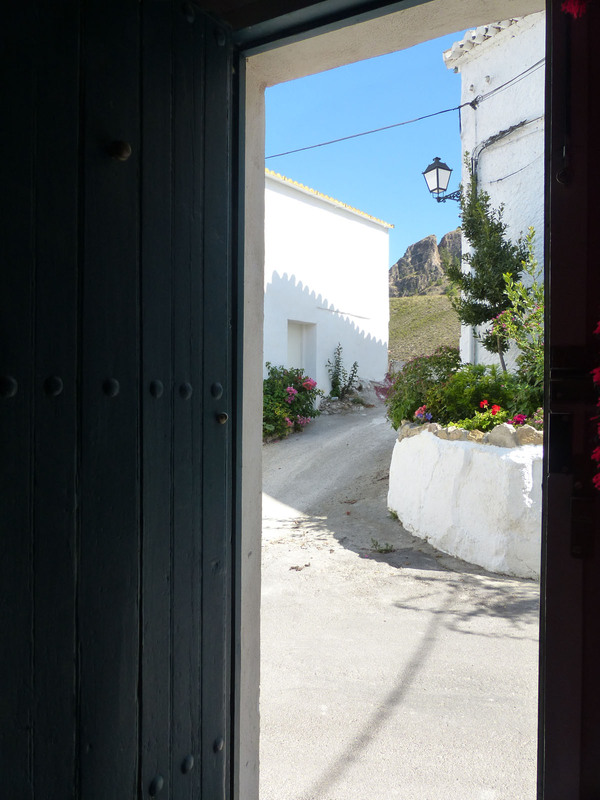 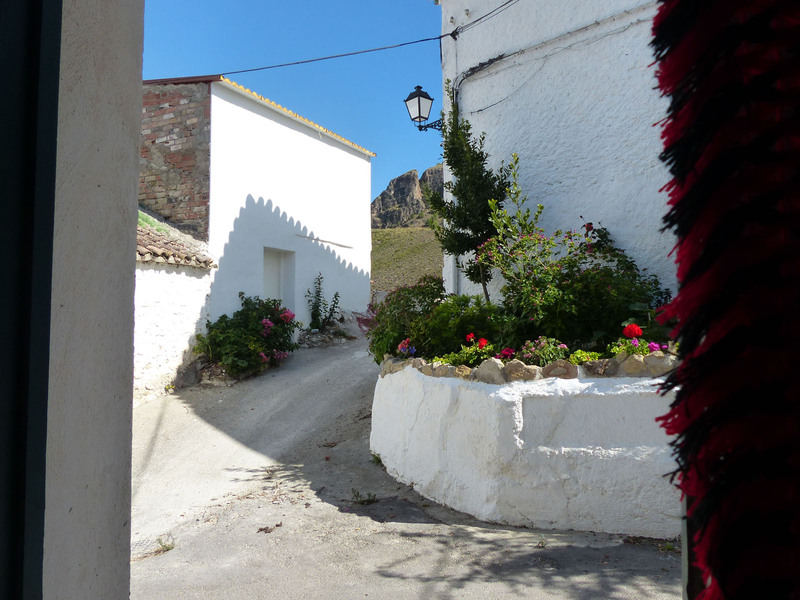 It has two independent access points, one via the courtyard and one from the street to the side of the house. 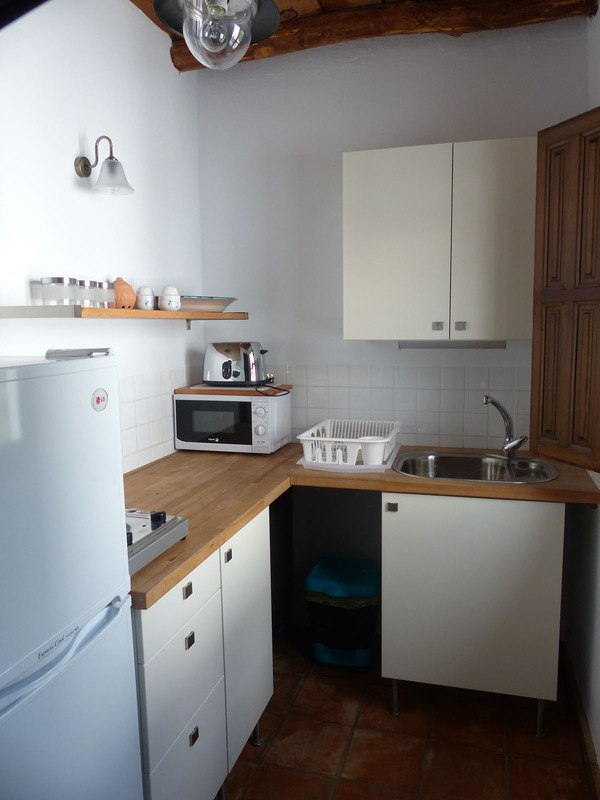 This apartment has its own small, but fully functional kitchen, with microwave, small hob, toaster, fridge-freezer and other usual amenities to enable you to prepare breakfast or supper after your days exploring. 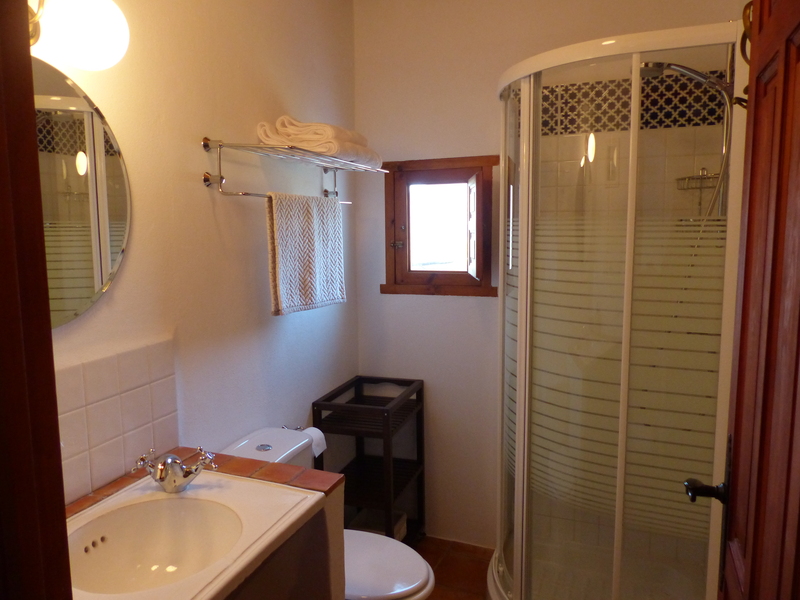 There is also a shower room, seating area around a wood burning stove, dining table and chairs, heater, fan, TV and Wifi. 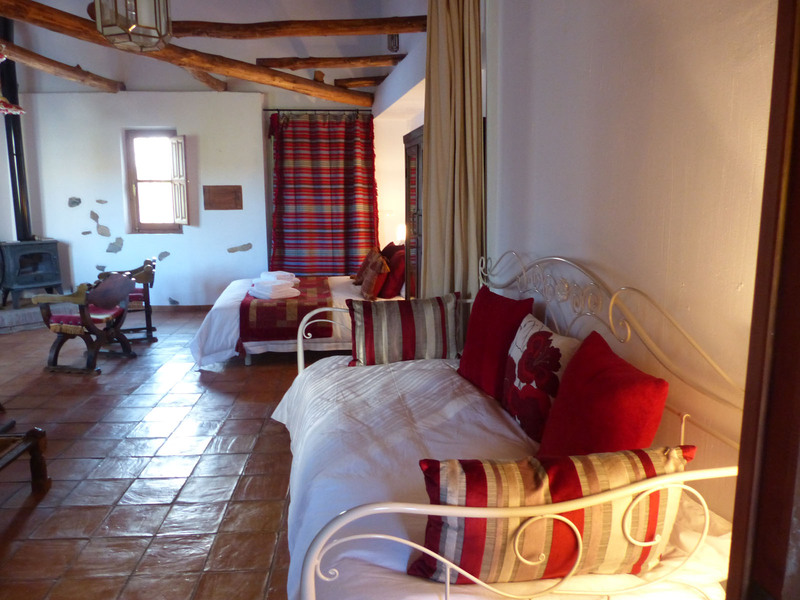 It can comfortably sleep up to 4 people so it is ideal for families or friends travelling in a group. 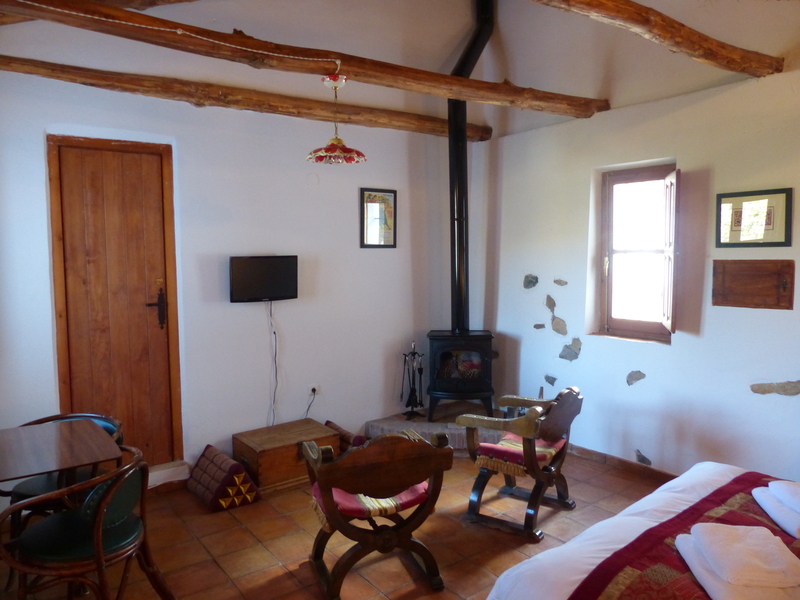 Please take a look at the pictures below, click on any image to see it fullscreen, and check here for availability and rates.